Built by Birmingham Small Arms owned Daimler Cars (by appointment to Her Majesty the Queen), with a V8 engine designed by the man who created the Ariel Square 4 motorcycle engine, and with input from Jaguar, the Daimler SP250 Dart is one of the nicest and most interesting sports cars to be created in the Britain of the swinging sixties. It was a sports car made by makers of guns, motorcycles and sports cars – how could they possibly get anything wrong? 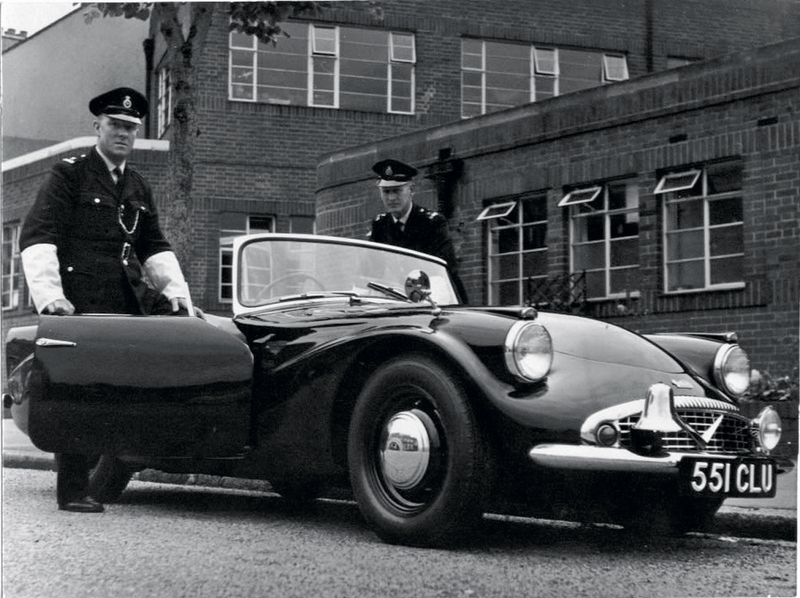 The Daimler SP250 Dart was so good the British London Metropolitan Police adopted between 26-30 of them as pursuit cars. (Picture courtesy curbsideclassic.com). The Daimler SP250 was used by the London Metropolitan Police specifically to chase motorcycle cafe racers as the whole cafe racer trend was quite well established by the sixties and to catch up with those bikes required a car that would accelerate out to over 100mph quickly and be safely stable at speeds over the ton. The Daimler SP250’s top speed was of the order of 120mph and it’s aerodynamics promoted stability at high speed. The wedge shaped low nose creating a low air pressure area under the car causing down-force and the rear fins assisting with stability. In short the Daimler SP250 was designed with function in mind. The looks of the car are quite controversial. Like the Citroën DS series of the same period you either love them or hate them. I’m in the “love them” group for both cars. I can’t understand how anyone could not love the quirky but fascinating look of these cars. Suffice to say a Daimler SP250 is very high on my wish list of cars I’d like to own but probably won’t. Wedge shaped and purposeful the Daimler SP250 looks fast even when standing still. This beautifully restored car gives an idea of what the featured project car could finish up looking like. 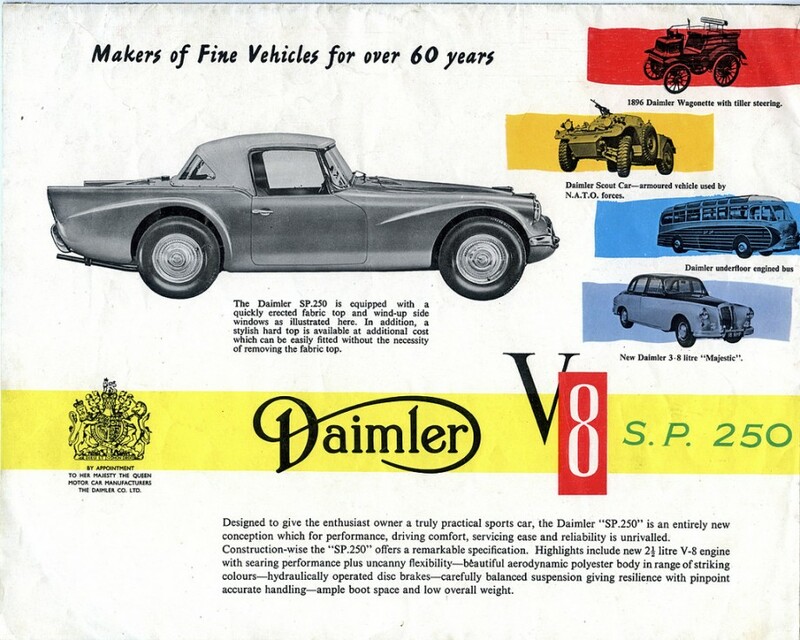 Life began for the Daimler SP250 back in 1956. Edward Turner, the Managing Director of Birmingham Small Arms Automotive Division and man who designed the Ariel Square 4 motorcycle engine was asked to come up with a 2.5litre V8 engine and two car types into which to install it; a saloon car (i.e. sedan) which was project DN250, and a sports car project SP250. Although the sports car had arrived at prototype testing stage by 1958 the saloon/sedan had not and in any event Birmingham Small Arms sold Daimler Cars to Jaguar in 1959. In order to keep development costs down it had been decided to use a ladder type chassis design with a fibreglass body rather than a steel one. On the early prototypes it was found that the chassis was not sufficiently rigid to the extent that the doors could pop open under hard cornering. Whether or not one is wearing a seatbelt this can be a disturbing experience. Under Jaguar ownership issues with the chassis were sorted out and the Daimler SP250 Dart no longer had a self opening door horizontal ejector seat propensity. 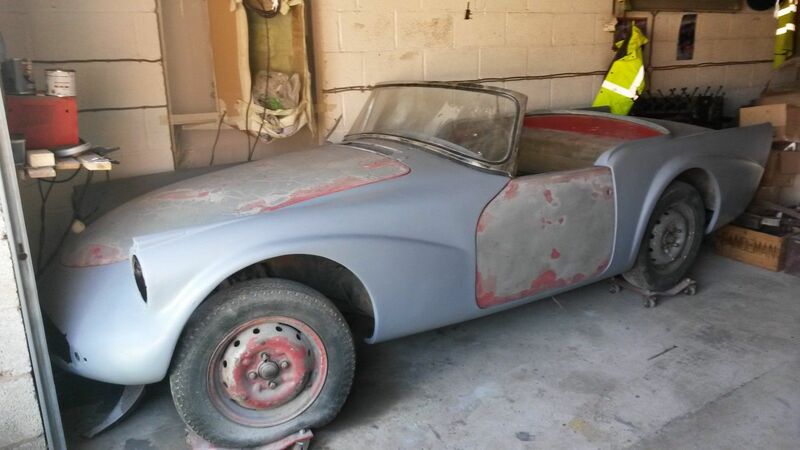 Chassis of the Daimler SP250 project car for sale on eBay is the Jaguar improved B Spec type. (Picture courtesy eBay). The environment of the fifties was one in which the British had seen the success of the Austin-Healey 100 sports car and manufacturers were falling over themselves to try to emulate that success and cash in on the action. The plans for the Daimler SP250 were influenced by this. Triumph, also owned by Birmingham Small Arms, had been building their TR series of sports cars, which were certainly not the equal of the Austin-Healey 100’s, and Jaguar had created and successfully marketed their more expensive XK120 and XK140. The styling of the Daimler SP250 was aimed at the sports car jet set with it’s continental influenced droop snout and it’s American rear fins. The engine was a hemi-head 2547cc V8 producing 140bhp at 5800rpm and 155lb/ft torque at 3600rpm, with a single camshaft operating the valves of both banks of cylinders and a five bearing crankshaft. Why a V8? Americans love the sound of a V8, and the Daimler SP250 certainly makes the right kind of V8 sound. 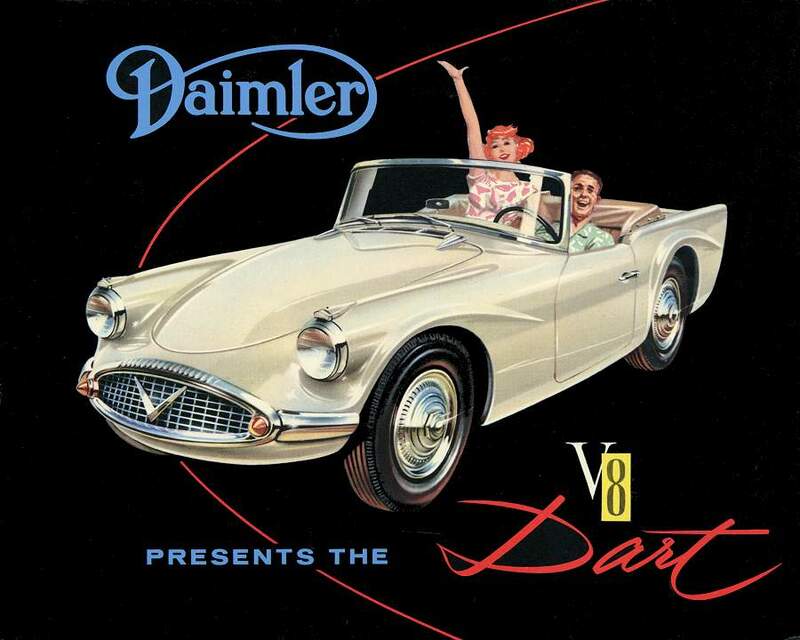 The Daimler SP250 Dart was created with the US market firmly in mind. Unfortunately for Daimler Chrysler already owned the trademark for the “Dart” model name so Daimler had to drop it and just call their car the SP250. (Picture courtesy jag-lovers.org). The engineering of the Daimler SP250 was solid, brakes were Girling discs all around, the four speed gearbox with optional overdrive was a tried and tested unit from the Triumph TR3A, though only having synchromesh on the top three gears. The front suspension was fully independent with coil springs and the rear was a live axle with half-elliptic leaf springs, this being a typical American system and also being the same sort of suspension as on the successful Austin-Healey 100’s. Fabulous though it was the life of the Daimler SP250 was short lived. Daimler had been purchased by Jaguar and Jaguar were bringing out their E-Type. So, although the Daimler SP250 was not an E-Type killer it was a competitor too many and the decision was made to end production in 1964. Prior to the creation of the E-Type the Daimler SP250 was certainly a strong competitor against all the British sports cars, I personally think of it as an Austin-Healey 3000 killer and also a killer against the best that MG and Triumph could throw at it. The cars love it or hate it looks however did not stand in its favour and when first shown at the New York Motor Show in 1959 it was unofficially voted the ugliest car of the show. 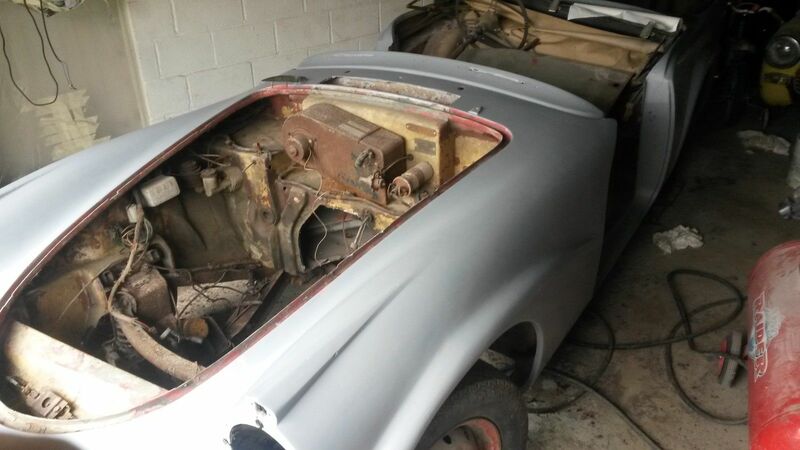 The project car for sale on eBay is a B Spec car and is stripped down and in need of a full restoration. (Picture courtesy eBay). The Daimler SP250 went through three specification series. The A Spec are the original design with the insufficiently rigid chassis that can cause involuntary door opening. The B Spec cars had the chassis improved by Jaguar to resolve that set of problems and also have an adjustable steering column. The C Spec cars were created from 1963 and include some more refined fittings including a standard heater/demister and cigar lighter. With its fibreglass body this is a very do-able restoration project. (Picture courtesy eBay). 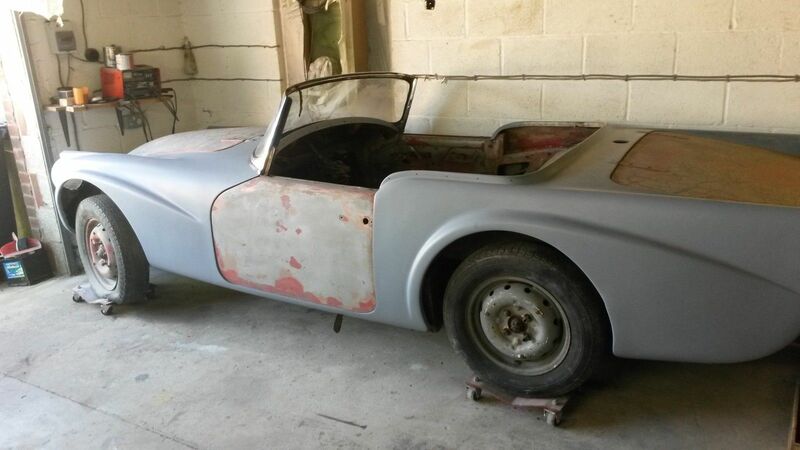 The Daimler SP250 project car for sale on eBay looks to be a worthwhile and viable restoration project. You will find the eBay sale page if you click here. At time of publication of this post there were three days left on the auction and the seller is looking for £6,500.00 or more. Further stripping down for restoration will be necessary. The car is in transportable condition. (Picture courtesy eBay). This car has also featured on BarnFinds.com and you will find their page on this car if you click here. The car comes with quite an inventory of parts including the engine and looks to be quite complete. 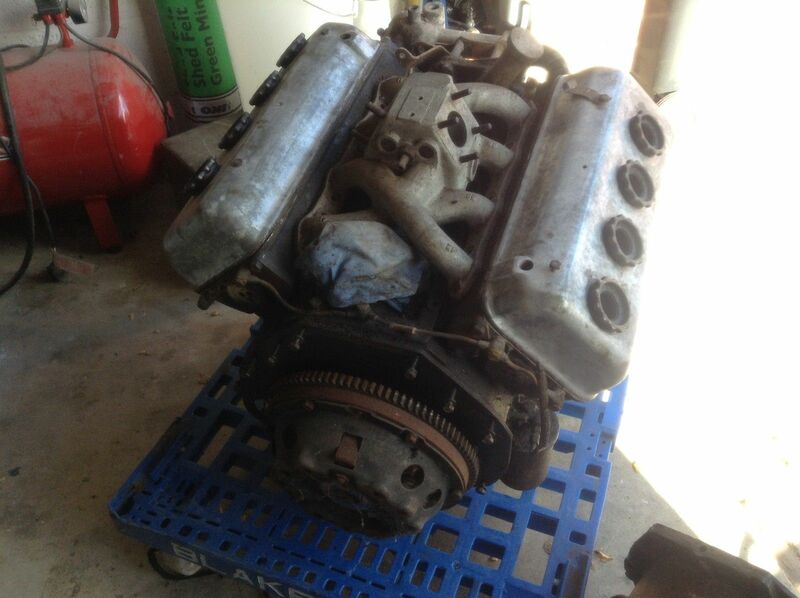 Edward Turner’s fascinating V8 for the Daimler SP250, this one for the project car will need some TLC. (Picture courtesy eBay). 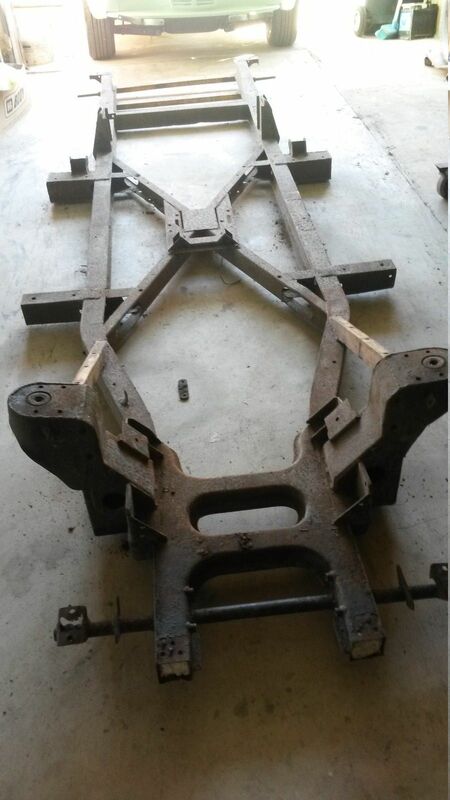 Were I buying this project I’d want to re-build it as an enjoyable vintage road going sports car with a few tasteful improvements. I’d want it as a personalised drivers car, not as a museum piece. 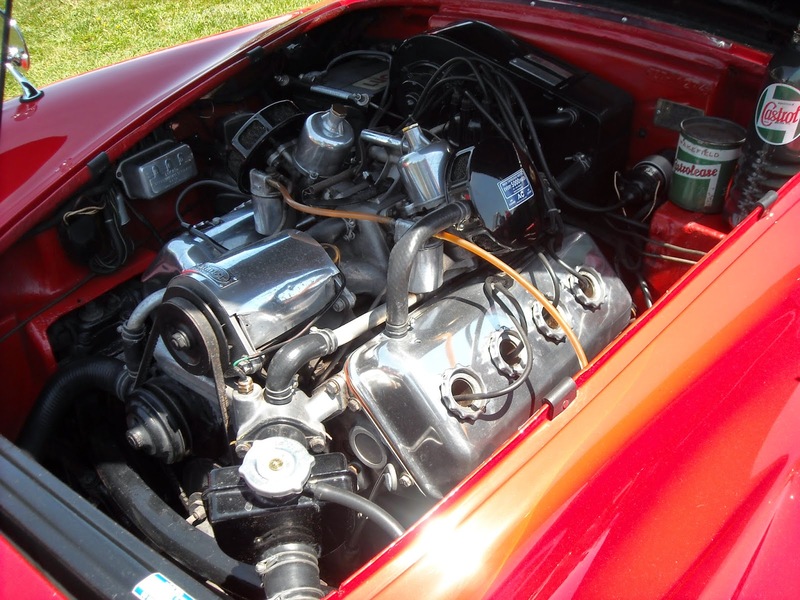 There is a Daimler SP250 Owners Club and clubs such as this tend to provide a network that can assist with technical help and with sourcing parts where needed. 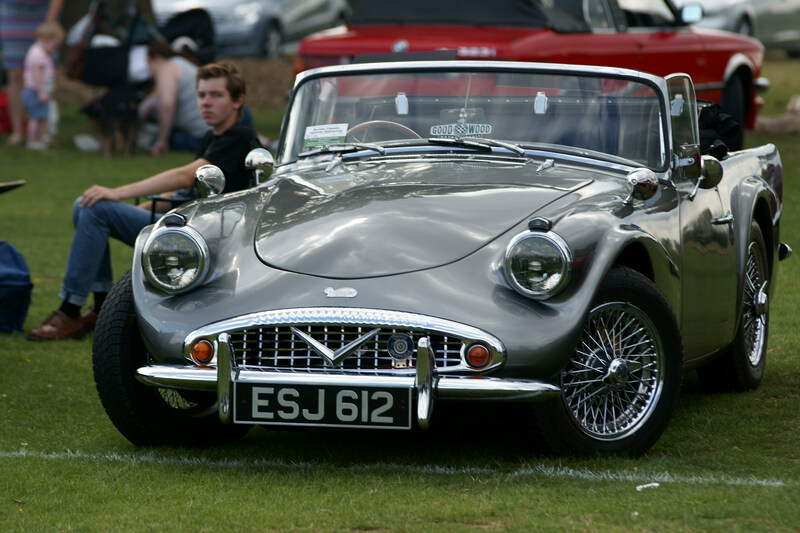 You’ll find the Daimler SP250 Owners Club page if you click here. Jay Leno is a Daimler SP250 owner also. You’ll find a “Jay Leno’s Garage” Episode on his Daimler SP250 below. If you are anything like me you’ll hear the noise it makes, see it on the road, and you’ll want one too. You can find the book Jay Leno mentions “Daimler V8 SP250” by Brian Long on Amazon if you click here.